Remember that relatively inexpensive sous-vide device we told you about a couple of weeks back? You know, the wireless temperature sensor that communicates with GE’s big-ticket induction cooktops ? Well GE subsidiary FirstBuild is crowd-funding a much-less-expensive Paragon induction cooktop that uses the same sensor. And the crowd has responded. FirstBuild’s Indiegogo campaign kicked off on February 2 with a goal of raising $50,000; as of today, they’ve received pledges of more than $185,000, and their campaign has another 32 days to go. In addition to sous-vide-style cooking, you can also use the 1400-watt Paragon Induction Cooktop to sear, deep fry, poach, simmer, and braise to perfection. The cooktop can also just keep food at serving temperature without overcooking it. The wireless sensor continuously monitors temps and communicates with the cooktop to raise or lower the heat as needed; your role is to sit back and let it do its thing and then take all the credit. If you own an iOS device, you’ll also be able to call up recipes and monitor what’s going on from another room, receiving notifications when desired temperatures and cooking times have been reached. If you’re invested in Android or Windows Phone, you can use the cooktop’s touch controls to make manual adjustments, rendering the iOS app a complimentary convenience instead of a critical component. Early bird pricing for the Paragon is set at $149 and there were 152 spots available as this story was being written. Once that tier fills up, pricing jumps to $169 for the next 200 people, and then $219 to pre-order until the campaign ends. It will retail for $249. Why this matters: Sous-vide cooking, which entails vacuum-sealing food in plastic bags and submerging into hot water for a set period of time, is tricky for inexperienced chefs who lack the proper—and expensive—equipment. 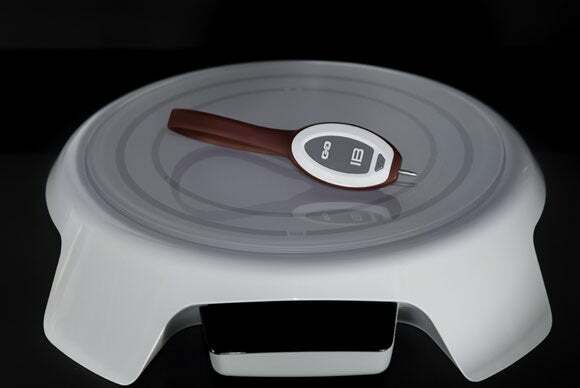 Paragon’s Induction Cooktop is a comparatively cost-friendly solution that makes it easy to prepare meals using other precise cooking techniques. This could be the type of product that gets busy households eating out less often. Update: This story was corrected to report that Paragon is the name of the product and FirstBuild is the name of the GE subsidiary.